Last spring's Senate hearings on Corporate Average Fuel Economy standards made much about the increased risk Americans would face if forced to give up their SUVs for vehicles that weigh less. To find out whether that risk is real, and whether SUVs really are safer than cars, as some have alleged, we analyzed highway fatality data. Our findings came as a surprise. 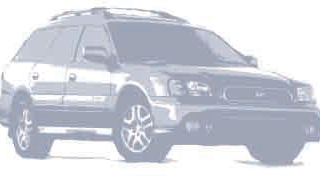 Suv 2We focused on “driver death rates,” a concept of risk developed by the Insurance Institute for Highway Safety. However, our analysis differs from the Institute’s in two important ways. First, we examine risk not only to drivers of vehicles of a particular type, but also to drivers of vehicles that crash with that vehicle type. Second, we limit our study to recent models having sold enough vehicles to permit statistical analysis.